Ah yes. It's that time of year again. New students have started at Brightvale University (BVU). The professors are teaching, and the students are learning. Well, most of them anyway. Soon it will already be time for the Day of Giving break, and everyone at BVU, students and professors alike, will probably be more than ready. I am Professor Pachino, a skunk Eyrie, and I teach history here at BVU. I have come up with a list of top things that I hope I never hear from a student's mouth again. From excuses for missing class, to questions about the class itself, I've heard it all. If you are already a student at Brightvale, I hope none of these were modeled after you. And if you are a future student, keep these things in mind as words of advice. It just might make your studies at BVU a bit more tolerable. So now, here are the top ten things I never want to hear again, with my responses, commentary, and possible punishment, should you ever utter these words. 10. "Do I really have to buy the textbook?" Yes, you need to buy the textbook. These are university courses. I don't assign books just for the heck of it. Well, I mean, not usually, at least. Punishment: You will be assigned five additional books to read. Please purchase. "Extinct Neopian Languages," "Ancient Book," "The Legend of Scordrax," "Book of Splinters," and "Famous Sculptures." There will be a quiz. Tomorrow. And it will be worth a rather sizable portion of your grade. The books will also eat up a rather sizable portion of your bank account. 9. "Did we do anything important the first week of class? I had to miss, but I'm just now getting around to telling you." Why yes. Actually, we discussed the history of Meepits, which evolved into a discussion of how to survive the upcoming Meepit Apocalypse. It was a life-saving discussion that cannot be replicated, because the entire class, except for you apparently, participated, and I cannot possibly remember everything they said. So sorry, and good luck in the Meepit Apocalypse. Punishment: You will be the first to go to the front lines in defense of Neopia when the Meepit come for... whatever it is they're after. 8. "I'm sorry. I missed class, but you see, I only had one hour to complete this fountain faerie quest. You must know how important those are. I've been nearly dying to paint myself baby." I once had a Kougra who used this excuse four times in one semester. She didn't even change colors once. It's not like she was generous and gave them to her siblings... she's an only child. Punishment: You will be the next pet in line for the lab ray. You know how that thing tend to misfire. You want to be turned baby, huh? I hope it doesn't turn you elderly instead. 7. "I'm sorry I missed class the other day, but it was Friday. Surely you understand." Yes, I understand. I once had a guest speaker come in on a Friday to talk about the fall of Faerieland and it's impact on the Neopian economy. I told him," Many students here think the weekend starts on Thursday. These are the good students who actually come on Friday." Punishment: Since you don't want to come to class on Friday, I will come to YOU on Friday. I'll find you in your university housing and wake you up at 5:00 AM so I can give you my fascinating lecture on how the introduction of Neocash affected the value of Neopoints and other Neopian currency. Reward for the rest: I will bring in a cake to share with the class. I'll make sure to bring it on a Friday. 6. "Professor, I have Neo-flu, and I don't have enough money to pay for the cure. Will you give one to me?" This one still confounds me. I would think that students here would have a basic understanding of Neopia and its basic features. At the very least, I would hope they would have learned not to beg. Punishment: You will write, "Healing Springs every thirty minutes" 100 times. After that, I will release you to go to the healing springs. When you return, if you are not healed, you will again write the aforementioned sentence 100 times. This process will continue until you are healed. Don't worry. I'm sure the healing springs will cure your writer's cramp also. 5. "Oh, wait. That was due today?" Yes. It was due today. I've only mentioned it in class every day for the past two weeks. Would it help if it were written on the syllabus and I sent you neomails to remind you? Oh wait. I did. Punishment: If you do not turn this assignment in today, you will receive a zero. However, I will give you the option of an alternate assignment. For your alternate assignment, you must write a 100-page essay on how to combat Dr. Sloth's brainwashing, because clearly, you are suffering from it. That's the only explanation for such gross forgetfulness. 4. "My petpetpet died." So let me get this straight. A parasite comes to live on your petpet, and not only are you happy about that, but you are so upset at its death that you have to mourn its loss? How do you know it died anyway? It's probably just gone missing in all that fur on your Noil. Also, do you really think I don't know that petpetpets can't die? Maybe it just feel off, or attached itself to one of your other petpets. Punishment: You much collect four petpetpets and attach them to the next four petpets you come across. Here is a magnifying glass and a tweezers. 3. "When and where did David Techo die?." Feed the Esophagor. How many times do I have to say it? Feed the Esophagor. 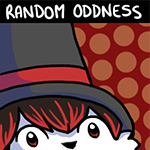 I may be a Neopian History professor, but I don't know everything. Besides, that Brain Tree and the Esophagor have some sort of weird conspiracy theory going. Even if I could find these people somewhere in the annals of Neopian History and were to give you an answer, they probably wouldn't even accept my answer. Feed the Esophagor! Punishment: You must go to the Esophagor, see how much the items he requests cost, and donate the same amount to the Soup Kitchen, as part of the "Feed the Neopets" campaign, held every year before the holidays. 2. "How was I supposed to know that would be on the test? Your tests are so hard." I gave you a study guide a week before the test, gave you class time to work on it, and gave you the page numbers for the answers. If you can't complete that simple task, then I question how you were admitted to BVU in the first place. Punishment: You may retake the test, but it will be a completely new test, with no study guide, and will cover Neopian history, from the creation of the Chia to the great server transfer of year 16. 1. "Oh my gosh. I'm so sorry about that neomail I sent to you. That was supposed to be sent to my mom. Must have been a slip of the paw or something. I am SO embarrassed now. I'm not even sure I can set foot in your classroom again. Oh my gosh. You can see how much I'm blushing, and... I'd better just stop now, because I'm probably just making things worse." I must admit, I was wondering why you were giving me a running commentary about your Floppy Tongue symptoms. Asking for more NP was a bit over the top, and signing your neomail "Love, Shnuckums" was a bit unusual. But I figured out what happened pretty quickly. I have kids of my own, you know. Okay. So I actually don't mind this... not too much, at least. It usually just makes me laugh. But none the less, it was a silly mistake. Punishment: I think your embarrassment is punishment enough. Although, I'm sure the rest of the class would enjoy hearing me read the neomail to them. Don't worry. I'm only kidding. This will be our little secret. I promise. And just between you and me, I did the same thing to one of my professors back when I was a student at BVU. As you can plainly see, those of us who are professors must deal with silly questions on a daily basis. I suppose it's no more than, say, the Pound owner or the editorial writer, but one would think the students at BVU would have more sense than this. They are, after all, the future of Neopia. That actually gives me nightmares at times. But all in all, being a professor at BVU has its perks. 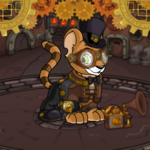 When that baby kougra (Not the one who had the four fountain faerie quests) finally catches on, and says you're the reason she wants to become a professor, well, there's nothing that can replace that. Not even the best Day of Giving gift that Neopoints can buy. I've got all my textbooks! "Look at them. That one's slouching, and that one's leaning against the spell anchor. And that matte black armor is so they don't have to clean it regularly. Disgraceful. Even Sloth had more pride in the appearance of his soldiers." "It's from Brightvale University... I did my graduate studies there," Jacob explained.